The research A Giving Heart Foundation helps fund will provide the resources necessary to create technology that will reduce or eliminate the need for open-heart surgery in children living with Congenital Heart Disease. Children born with narrowed blood vessels close to the heart, or who develop major vessel narrowing after birth have two options. The first is heart surgery, which involves opening the chest to repair the narrowed vessel. The second entails implanting a stent from the groin to open the vessel narrowing. The latter is effective but temporary as with time the child will outgrow the stent leading to a re-emergence of the initial problem. Doctors and researchers have started to extend the potential of this dissolvable stent technology – and are testing out replacing heart valves through the leg. Again, development of heart valves for adults has accelerated greatly recently, however similar efforts for children with diseased valves has been lacking. Due to AGHF’s support, development of dissolvable materials that can support a heart valve seeded with a patient’s own cells is underway. In the next 10 years, the hope is to produce a valve that can integrate itself into the child’s heart and grow with the child, deliverable through a leg vessel, preventing the need for open-heart surgery. These developments previously perceived as conceptual are now possible. However, funding is essential to apply these advances to children and ensure that children are not left behind due to lack of funding. Ziyad M. Hijazi (MD, MPH, MSCAI, FACC) is the Acting Chief Medical Officer and Chair of the Department of Pediatrics at Sidra Medical and Research Center and Professor of Pediatrics, Weill Cornell Medical College. Prof. Hijazi is also the Medical Director of the Sidra Cardiovascular Center of Excellence. As the Chair of the Department of Pediatrics, Prof. Hijazi drives the strategic direction of the Department of Pediatrics and integrates research and education priorities into a program of excellent clinical service delivery. He also holds the position of Chair of Pediatrics at Weill Cornell Medical College – Qatar, Sidra’s partner for medical education. Prof. Hijazi is an interventional cardiologist who specializes in treating congenital and structural heart disease in both children and adults. He is a pioneer in the non-surgical repair of congenital and structural heart defects. Prof. Hijazi completed his postgraduate training from the Department of Epidemiology and Public Health at Yale University, where he was subsequently awarded a Masters of Public Health. He remained at Yale University where he completed a residency in Pediatrics and a fellowship in Pediatric Cardiology. Upon completion of his fellowship training, he joined the faculty at Tufts University School of Medicine as an Assistant Professor. In 1997 he was promoted to Associate Professor of Pediatrics and Medicine, and in 1999 Prof. Hijazi accepted a faculty appointment at the University of Chicago as Endowed Professor of Pediatrics and Medicine and Chief of the division of cardiology. He has been successful in building a preeminent Pediatric Cardiology Program, which is nationally and internationally recognized for its outstanding clinical service and innovative technologies. 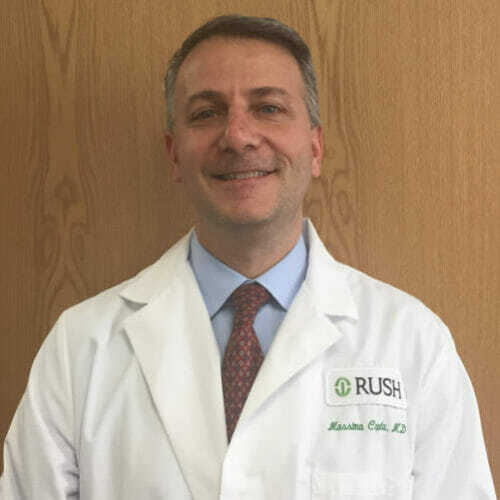 In 2007 Prof. Hijazi became the Director of the Rush Center for Congenital and Structural Heart Disease at Rush University Medical Center and in 2010, he became the James A. Hunter, MD, University Chair. 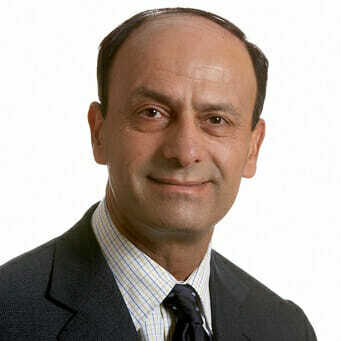 Prof. Hijazi is very prolific with more than 295 peer reviewed published articles, six books and over 40 book chapters. His major area of interest is in the development of techniques and catheters/devices to help treat or cure congenital and structural cardiac disease without open-heart surgery. In 1994 he published an article describing the technique of multiple coil closures of patent ductus arteriosus (PDA). His new technique enabled cardiologists to close moderate to large size PDAs using multiple coils. In 1997, he published the first results of the initial clinical use of the new Amplatzer septal occluder device for atrial septal defects (ASD). Subsequently, he has been a primary investigator in testing the Amplatzer family of intracardiac devices in the U.S. Prof. Hijazi wrote the protocols for these trials and presented the results of these studies to the Food and Drug Administration. The trials have involved catheter closure of atrial septal defects, patent ductus arteriosus, patent foramen ovale (PFO) and ventricular septal defects. These studies resulted in the FDA approving the first ASD closure device for use in children in 2001. This study was published in the Journal of the American College of Cardiology in 2002. Prof. Hijazi’s work has not been limited to the non-surgical repair of cardiac defects; he was the first to describe how intracardiac echocardiography (ICE) can be used to assist in guiding transcatheter closure of ASD/PFO. Prof. Hijazi’s annual Pediatric & Adult Interventional Cardiac Symposium (PICS/AICS) is a four-day conference which brings together a select international faculty who provide demonstrations, live operations and the latest research breakthroughs in interventional cardiology for congenital and structural heart disease. This symposium attracts more than 750 interventional cardiologists from more than 60 countries around the world. Based upon this model, he is currently establishing collaborative pediatric cardiology research and clinical programs in China. Currently, Prof. Hijazi is involved in evaluating percutaneous valve implantation (without surgery) for patients with defected pulmonary valves, senile aortic valve stenosis and leaky mitral valves. He successfully performed the first operation (Pulmonary valve implantation) of its kind in the U.S. on December 13, 2005 on a 16-year old boy. Further, he is currently involved with two companies to develop a percutaneous aortic valve for elderly patients with degenerative aortic valve stenosis. On May 11, 2008, Prof. Hijazi became the 31st president of the Society for Cardiovascular Angiography and Interventions (SCAI), the major organization for interventional cardiologists that has more than 4,000 members worldwide. In 2011, Mayor Thomas Menino declared July 25, 2011 as the Ziyad M. Hijazi day in Boston, MA. 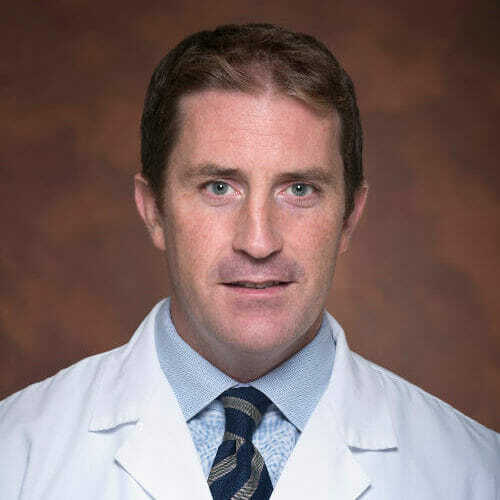 Damien Kenny, MB, MD, MRCPCH, was born in Dublin, Ireland in 1974. He graduated with an honors degree from University College, Dublin and following Internship spent 1 year working in Mongolia and Vietnam as medical director of a small Irish charity. He trained in Pediatric Cardiology in Bristol in the UK and spent two years researching his doctorate in pathophysiology of hypertension in coarctation of the aorta at the University of Bristol. He completed his senior fellowship in Interventional Cardiology at the Rush Center for Congenital and Structural Heart Disease. He is currently Assistant Professor of Pediatrics and Director of the Cardiac Catheterization Hybrid Suite at Rush. To date he has published over 60 peer reviewed articles and written 20 book chapters. His current research interests focus on the application of bioresorbable technologies to children with congenital heart disease including development of stents and valves that may reduce the potential for multiple heart surgeries for growing children. This work would not be possible without the vision and support of AGHF and Dr Kenny is honored to be associated with this dedicated and passionate group of people. Massimo Caputo is a Professor of Congenital Cardiac Surgery at the University of Bristol, UK, and Visiting Professor of Congenital Cardiac Surgery, at theRUSH University Medical Center, Chicago, IL. His clinical interests include neonatal surgery, complex aortic surgery in young adults, minimally invasive pulmonary valve surgery, mitral and tricuspid valve repair. He performs over 200 complex major cardiac procedures per year. His research interests include developing innovative surgical strategies for Congenital Heart Surgery through randomized trials, in particular improving myocardial protection and CPB strategies, adult congenital heart surgery, complex valve repairs, regenerative medicine in congenital heart disease, and ischaemia reperfusion injury. Recently he was awarded the Sir Jules Thorn for Biomedical Research in stem cell and congenital heart disease.